Discussion in 'Clubs' started by Azulart, Nov 12, 2017. Welcome Multi battle fans ! also share the love for multi battles. Multi battle is a term being used in pokemon where you and your partner engage in a tense and fun battle against two other players. Everyone brings 6 pokemons and 3 will participate in the fight. The team who brings down the opponents team first, wins the match. now that is a Multi battle ! Our focus is simple, gather alot of people and do some jolly coopertation with pokemon battles. We dont play by the Smogon rules or VGC rules normally, although this can be requested. Our goal is not to win but just enjoying the expercience of multies and making friends. 3. When sharing your expercience here, please keep it proffesional. No bashing or insulting. 5. Follow the general SPPF rules. 6. No double posing, mini-modding, etc..
7. Stay active on both the thread and our club channel. 8. When joining, please follow the registration format below. 9. Have fun in some jolly cooperation ! Interested in gen7 Multi battles and Battle Royales? Join our DiscordChannel and MultiBattleFanClub for some jolly coop! 1. Double Battles are being held with the Flat Rule format. This means no double items can be used and you need to pick 4 out of 6 mons to enter the battle. or esthetics that represent an common element in christmass, like a tree.. present.. etc..
3. Make sure one of you saves the battle video. 4. When a disconnect happends, discuss with your opponent if you want a second battle or decide the outcome based on the pokemons left. 5. Incase of withdraw from the tourney, the opponent automaticly wins. 6. Be aware of the deadlines ! HA Shiny Articuno from the VC games, an HP Fire Timid Latios or a shiny cloned pokemon from Mythe's shiny hunt huge stock (no legends). Just to clarify, we try to have couple of friendly battles every day (you don't have to battle everyday to be considered "active" tho) and we all live in various time zones. Hopefully this thread will help with coordination, since plaza is rather limiting in terms of in-game communication (to put it mildly). Welcome to the guild Scizor ! I am wishing you a great time here ! Nice club Azu may if I join also love the banner. Good to see you here too Wego! Yeah looking forward to it I might have to bring Wegosaurus the Aurorus that you breed for me. Hey guys, having a good time in Ultra Sun and Ultra Moon? I did hear about ingame multi battles. Definitely looking forward to it. Hello friends, I have yet to obtain my copy. Probably next year as I'm too cheap and reluctant to spend my little "spending money". Haha. Been spending a generous amount of time completing Alola pokedex in sun. Also doing the same in Moon which is easy since i have transferred all my stuff over to it from completing the dex last gen. Its fun to fulfill entries. 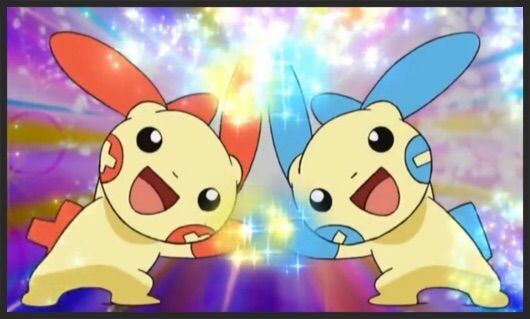 Turtonator is hard to use in doubles imo, a good reason why people want a fire type in their team is to have something against the OP Fairy type. Turtonator's added dragon type doesnt make it able to tank some Moonblasts, its dragontype does prove a nice addition against Sun teams, its very good pokemon to use against (and in) sun teams actually. Anyway, in my expercience Turtonator needs alot of support in order to shine in multi-double battle. His signature move is quite strong, 150 base power with spread damage but is a bit gimmicky to use. The best way to abuse this, is to use moves like Spotlight and Ally Switch. Shiinotic makes an excellent syngery partner with him due his typing and both can work in trick room toom. Shiinotic and can use Spotlight on Turtonator to redirect Poison Jabs, iron heads or Brave birds to turtonator activating Shell Trap for excellent spread damage, while taking minimal damage with his good DEF bulk. With just relaxed nature and 4 EV's it has 172 Defence Plus the added +1 defence from Electric seed gives him enough bulk to tank hits. (Good for Shell trap). The rest I dumped in HP for added Bulk and 252 in Sp.attack. I tried to do some calcs on giving it Sp.def but it hardly matterd for him honestly, and he needs the fire power (lol) to do some good damage with Shell trap. Quiet is fine too but then his defence gets a huge kick down, something around 150 which a found a bit to low. Anyways, in practice I pair this up with Tapu Koko since he resists boosted Thunder moves so the electric terrain doesnt hurt him that much (Nice side effect of the dragon type) The terrain actives his Seed and he becomes a Def wall . Now its just a matter of sitaution what your going to do, doing the shell trap with Shiinotic or Fire blast. I like dragon tail on him because it makes sure the opponent cannot setup Trick Room. Finally got UM. Gonna transfer all my Moon competitive stuff ASAP. Hopefully we can have multis tonight or tomorrow. Thanks for the advice Azu! I will definitely try that set out with dragon tail. I like that dragon tail + outside trick room support idea/combo too! Boy this gives me a good starting point to branch out from. And yea ill see you guys for some fun multi's in the chat! Cant wait to play with you in a multi battle ! Btw I guess we should include our USUM avatr names too now. Mine is Marika, like in XY days. Hey Joe, welcome to the Multi Club. I wish you a good stay and many enjoyable battles to come. Hiiiiiiiii Joe! Glad to have you here.